RichM wrote: It's an interesting situation. How many cars would need to be generated to justify the line improvements, even if it is to operate at 10 mph from Palisade Avenue north? Lots of crossings and traffic light synchronizing circuits to reactivate, some ballasting, tie and rail work, including restoring the run-around in Closter... in 2018 dollars, all in has to be at least $2-3 million. I'm guessing, but my back of the envelope says there would look to be at least 20-30 car loadings a week, and that would have to come on quickly... maybe 3 runs a week north of Englewood to justify reactivation. Trains could operate off-hours to avoid delaying some cross traffic in Tenafly and Closter, but not late at night without incurring opposition based on noise. Suppose the 30 loads are three 10-car trains per week. At 10 mph, that's about one minute for the 10-car train to go by. Doesn't sound to me like a big deal from a traffic perspective. Oh I wasn't saying it was impossible, really just trying to get a handle on whether it made any economic sense for CSX... I'm not sure how frequently they come up to Ridgefield and Englewood now... would they drop the existing cars and run north just with the locomotive and the gondolas or hoppers for the waste loadings? Although I'd argue a little bit about the minute to pass... have to activate lights and if I remember correctly about 5-6 of the crossings had gates at one time... so make it three minutes! As I understand the food oils place in Englewood, Supreme oil/Admiration foods gets service 5 days a week, M-F. If that’s still the case, then it shouldn’t be too hard to switch the oils plant and then leave the tank cars and run up north with the gondola or hopper cars. Having the former team track/run-around back in service would probably help with the switching operations, as you could bring the tankers up north with you and leave them on the run-around while you work the waste site. Other considerations about this potential business...how long a haul will CSX get with outbound loads, and does CSX do other business with this C&D company. Anyway...I'd love to see trains back up to Closter. Not holding my breath, but its a nice thought. If you're talking about this mess, it was CSX that did it. These images were taken right after it was finished. Yea, im talking about that mess. Sry. I stand corrected. It was such a cheap assed stupid way to change the tracks (imho)....I cuda sworn it was CR. Seeing as flying switches ("Drops" as we used to say) are verboten these days, ya'd think they would put a runaround back in, if the traffic develops. I’ve seen that. The track alignment gets weird right by Dykes Lumber. Almost looks like three tracks went thru there? I always wondered how the original alignment went and why the change? I know Closter has a lot of old track and siding remnants still in existence. Two that come to mind are remnants of a siding by the Closter veterans memorial and remnants of a siding by the old freight house. 2. as a competitive move by CSX to capture shipments that now occur by the partially-NS-owned NYSW about 10 miles south of Closter. Either way, the Northern Branch is now much more important to CSX, likely going from the to-be-divested list to the profitable operations list. Im guessing that there is more going on than meets the eye here. They may want to also get dykes lumber back on board. Lumber from the west coast is a long haul for csx. So is C&D going south. And its only 4 miles up the road from Englewood. We are only talking about rehabbing 4 miles of track to 10 mph standards. 30 cars a week plus possible lumber isnt a bad haul. Especially if it going to your competitor right now. http:Teaneck, NJ June 12, 2018 – The Action Environmental Group, provider of non-hazardous waste management and recycling services for New York City, Northern New Jersey, Rockland and Orange County, New York; today announced the completion of its acquisition of Miele Sanitation, a Bergen County, New Jersey-based waste management company. Are we actually sure this is happening or is this just a Railpace rumor going wild. According to the Railpace article...."In October, surprising news surfaced that CSX was planning to reactivate the line from Englewood to Closter..." - John Krattinger. You can tell me if he is credible. Of course it could be BS. I checked google earth. The part of the recycle company butts up against the main and the old weyerhaeuser lead (west side of the main) Using the Lead and part of the main, they could spot about 6 cars at a time for loading. There is room to put in a track where the old hercules powder siding was, too, for car storage. Storing cars on the main in that area not a great idea, as there is a steep downward grade going north. Looks like putting the old main1 train back as a runaround, north of Closter Dock Road, would be a good idea. I mean if this happens. 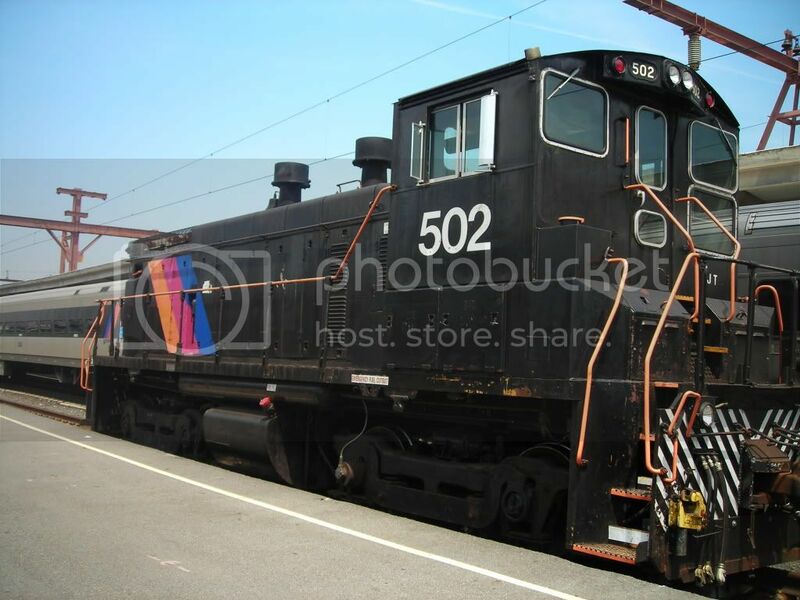 I'm just hopeful cause I lived in Closter for a long time, rode the last passenger train from Sparkill to Hoboken , have some of the records from the closter station, pix and movies of trains on the northern, and own the Closter station signs. Assuming this comes to be, what connections exist to other rail lines? Doesn’t the Northern Branch deadend at the state line? It does on the northern end of the line, it just literally cuts off just before New York State. However on the southern end, I’m sure it connects to either the csx river line, or a csx rail yard in north bergen, NJ. And since csx has access to the national rail network, there you go.